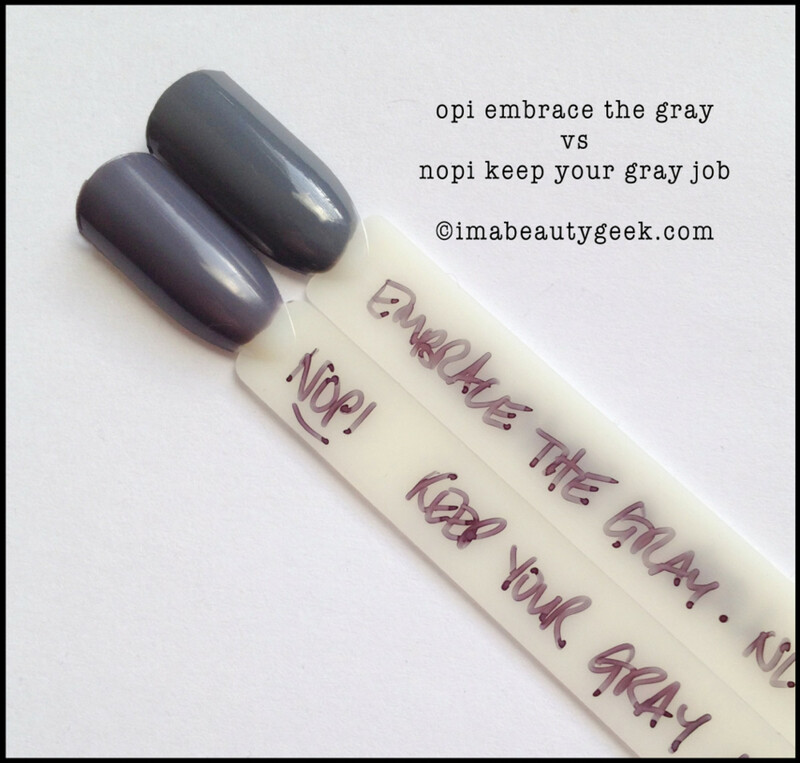 OPI Fifty Shades of Grey. Yes, that’s right. The Fifty Shades have landed. Or perhaps I should say three greys, two silvers and one red have landed. Yeah, lemme say that instead. We can talk about the book but I never read it. 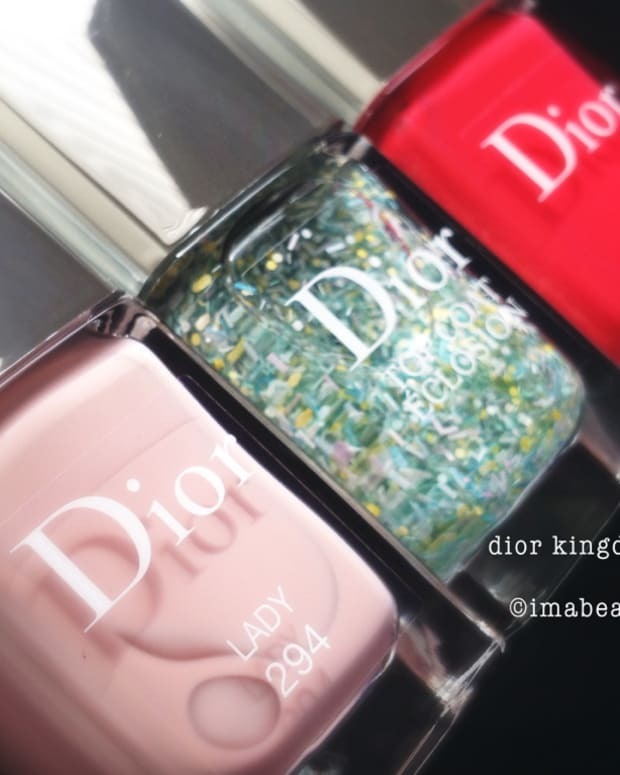 Instead, let’s talk about the polish! OPI is my favourite polish brand in the times of ever. Why? It’s so freakin’ solid. It’s so consistent. It’s always reliable. Quality control here is tops. Blah blah blah… when are we gonna look at Fifty Shades? Now. 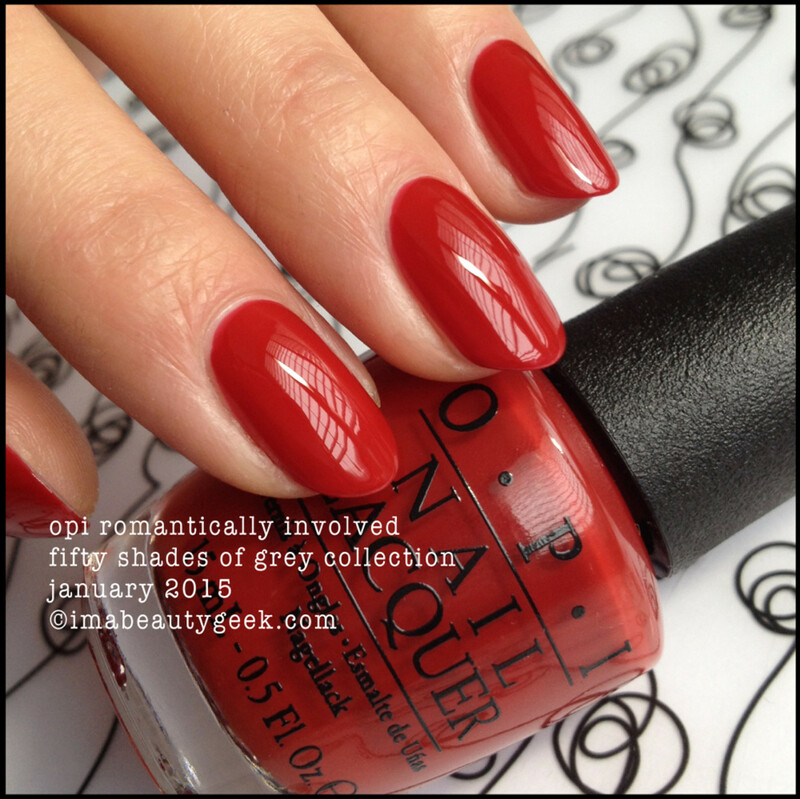 The red – OPI Romantically Involved is really pretty, a touch more orangey-brick than pure poppy red (only a nail polish junkie like you would understand that totally clear distinction) and I quite like it. Shades like these normally pop Lobster Hands on me but this one somehow manages to skip Crustacean Mode and go right to sophisticated. I like it a lot. Oh – that’s two coats. I could have maybe used one thicker coat but I didn’t. Also, that’s sans top coat. Shinetasticalz! There was only one shade that needed three coats and remarkably, it was Dark Side of the Mood. It&apos;s insanely dark but not exactly black. Let&apos;s call it dark grey-navy-blackness, k? You’re gonna want to keep your brush as parallel to the nail as you can and try not to drag the bristle edges along your nail bed as you slap the stuff on. If you drag your brush, you’ll get streaks and pull up the bottom coats and your wicked awesome finish will be destroyed. Don’t do that. Oh look! A sparkly silver metallic-foil-almost-chrome! Gee... are those lotsa brush strokes I see? Uh huh. And I tell you what else, you gotta be quick and you gotta be straight. If you take a good look at my index, you can see I wasn’t so good at straight. I also started a little higher up than I normally do simply because this shade likes to migrate. Start maybe 1/6 of the way above the cuticle line and push down towards to achieve the kind of lines I got. It’s easy to get this kind of coverage in two coats if you figure out The Way of The Polish. Lucky for you I’ve figured it out for you, huh? And let’s see what else is of note…. Oh! Right! This thing. It’s called Shine For Me and I’m not quite sure how I feel about it. Alone, it’s buildable and comes out textured (but not nearly as textured as a Liquid Sand). The silver of the polish tends to obscure the blue bits so more coats doesn’t get you more blue bits but just gets you more bumpy ergo I chose to use it over My Silk Tie. Sometimes less is more &apos;cause as you know, I’m all about the simple, subtle nail. There’s no top coat on there and maybe I shoulda slapped some on. Anyhow, there it is. And here’s Cement the Deal. Ooooh… Aaaah… That’s two simple coats of dove grey that&apos;s a brilliant formula which is pretty much the standard awesome from OPI. I love it. What other things do I love? This. I’ma Embrace The Gray so much this season – I love a good grey and this one is lovely, right? 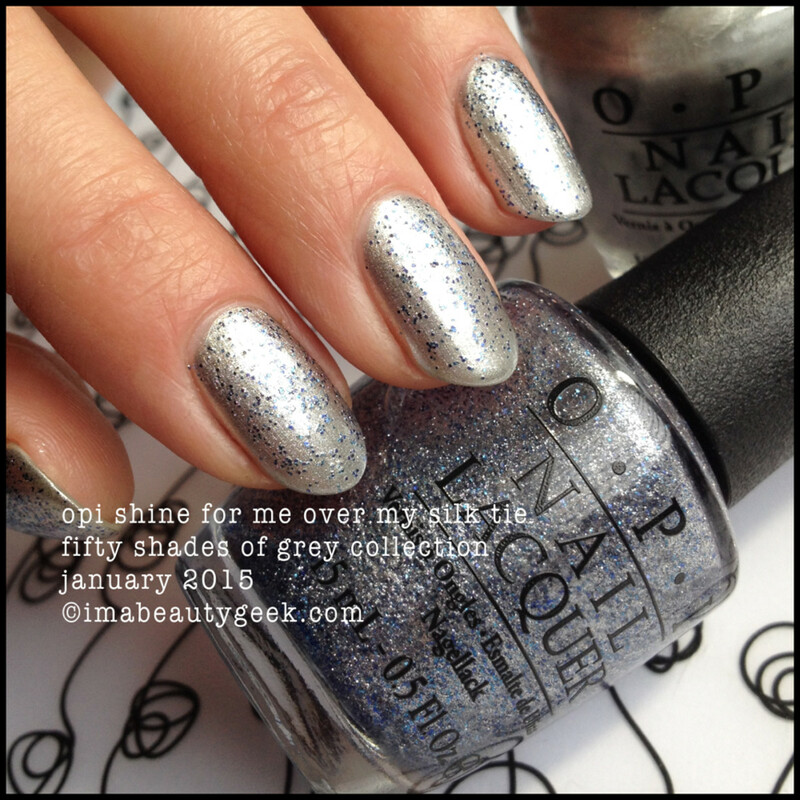 I’m a fan of grey polish and I’m a fan of 5/6ths of this OPI Fifty Shades of Gray collection (Shine For Me kinda creeps me out). Interestingly the collection is called Fifty Shades of Grey which is the UK spelling of grey and the bottle of Embrace the Gray is has an A instead of an E. It’s a small thing but I wish they’d kept the spelling consistent – it hurts search engines ‘n stuff when there’s a lack of consistency. 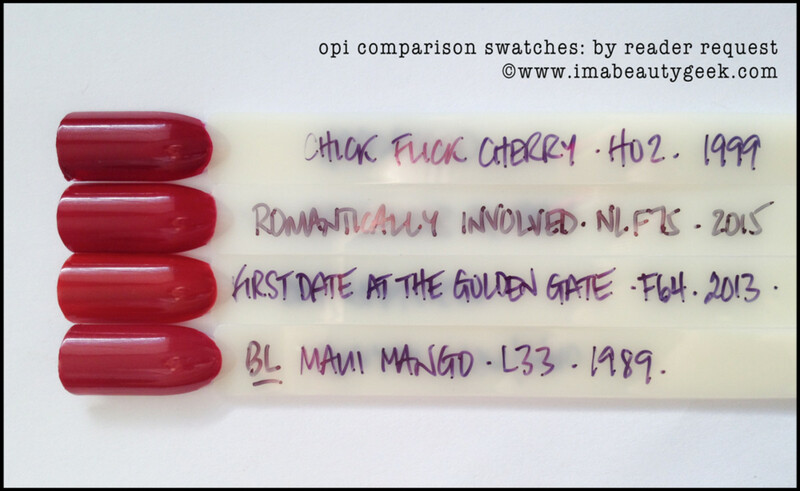 Apart from those trifling complaints, I admit my expectations have been met once again by OPI. It’s a great collection of limited edition shades that regardless of the book (because again, I haven’t read it), absolutely hit the mark for January. So whatchu think about all that, huh? Like it? Don’t like it? Need more information or comparisons or whatnot? You know where to find me, right? And hey! 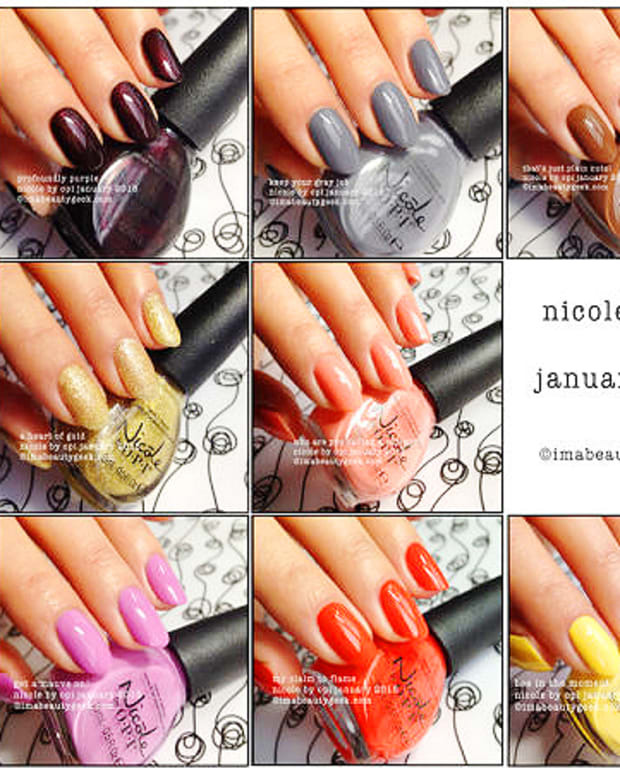 I gotta Instagram that’s all nail stuffs if you wanna follow – it’s ManiGeek (big surprise there). Comparison Swatch: this one is for you, Ari! 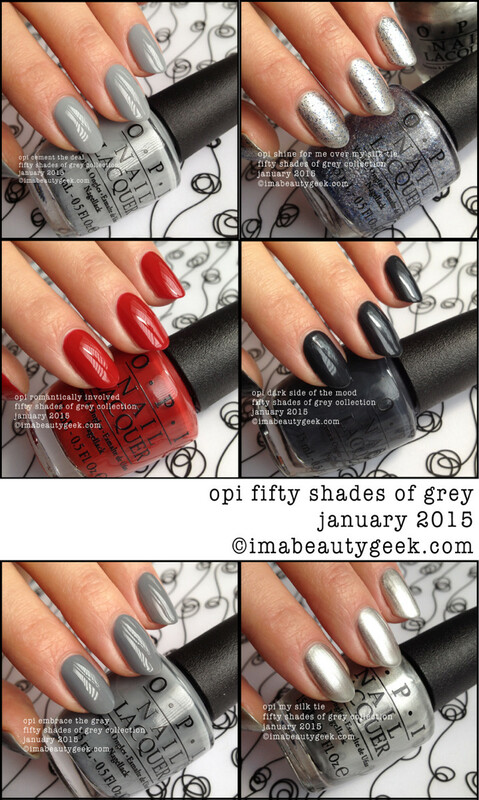 OPI Fifty Shades of Gray (aka 50 Shades of Gray or possibly Grey) will be available January 1, 2015 ($11.50 per) at your regular OPI retailer (like maybe Ulta.com?) 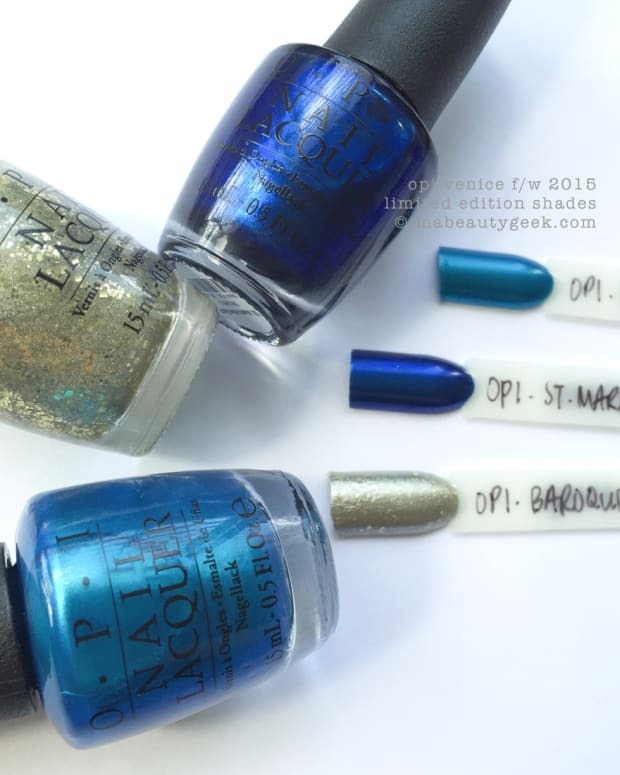 For more information, head on over to OPI.com.